African American Heritage runs deep in Athens, Georgia.Hot Corner, at the corner of Washington and Hull Streets, was an early center of black commerce, including the dental offices of Ida May Hiram, the first African American woman to pass the Georgia Dental Board exams. Also at Hot Corner is The Morton Theatre (1910, at 195 W. Washington St.), one of the oldest surviving vaudeville theatres built, owned, and operated by an African American, Monroe Bowers "Pink" Morton. The theatre hosted such notables as Duke Ellington, Cab Calloway, Bessie Smith, and Louis Armstrong. 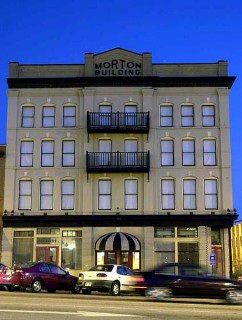 The Morton is fully restored and is available to tour, in addition to hosting a full schedule of performances. Pink Morton is one of many prominent African Americans laid to rest at Gospel Pilgrim Cemetery, founded in 1882 and placed on the National Parks Service National Register of Historic Places. After decades of disrepair, restoration is well underway. Gospel Pilgrim Cemetery is located at 530 Fourth Street. Visit the website! First African Methodist Episcopal Church (est. 1866), 521 N. Hull St.
Athens High and Industrial School (1913), Georgia&apos;s first four-year African American high school, 496 Reese St.
Group tours of these - and more - sites, are available with advance notice through Classic City Tours, 706-208- TOUR. A self-guided driving tour of 21 significant African-American Heritage sites is available at the Athens Welcome Center and at http://www.athenswelcomecenter.com/images/a_a_driving_tour.pdf.